The studio was designed by Roger Darcy of Recording Architecture. The control room houses an AUDIENT 8024 Console and ATC SCM 300A monitors. All noisy computer drives and power supplies are located in a separate temperature controlled machine room. The Control Room at Beechpark was designed by Roger, around an ATC SCM300 active monitor system. 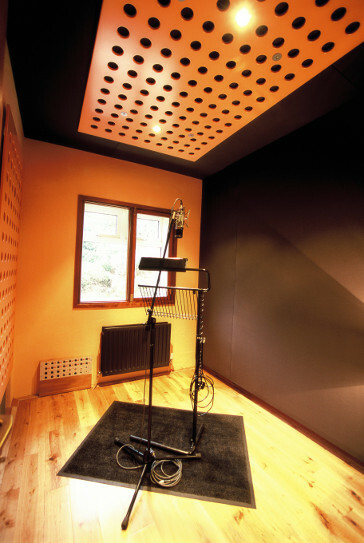 The rooms acoustic treatment is designed specifically for the loudspeaker and listening position. Following the installation and completion of the control room, the monitors were commissioned by ATC’s engineer, Ben Lilly. Mid and high frequency levels were adjusted to match up with the increased low frequency output from the in wall mounting of the monitor system. The in-room frequency response was found to be well controlled by the acoustic treatment. The low frequency extends down to 23Hz (-6dB) at the mix position. This room is warm and ambient with a reverb time of 0.7 sec. Especially good for acoustic instruments, but also works well for drums. This room contains a Yamaha piano. It holds 12 musicians seated. There is natural daylight and good visability to the other rooms. Dimensions: 7 x 5.3, 3.2 meters high. Bright airy room with a tight ambience especially good for vocals. Isolate instruments while retaining good visability to other musicians. The Barn adds the final piece to Beechpark’s suite of live rooms – a huge, great sounding music room with space for the largest of bands. The Barn was designed by Daire Winston, owner of Beechpark Studio, and Roger Darcy, a leading acoustic design consultant and architect. 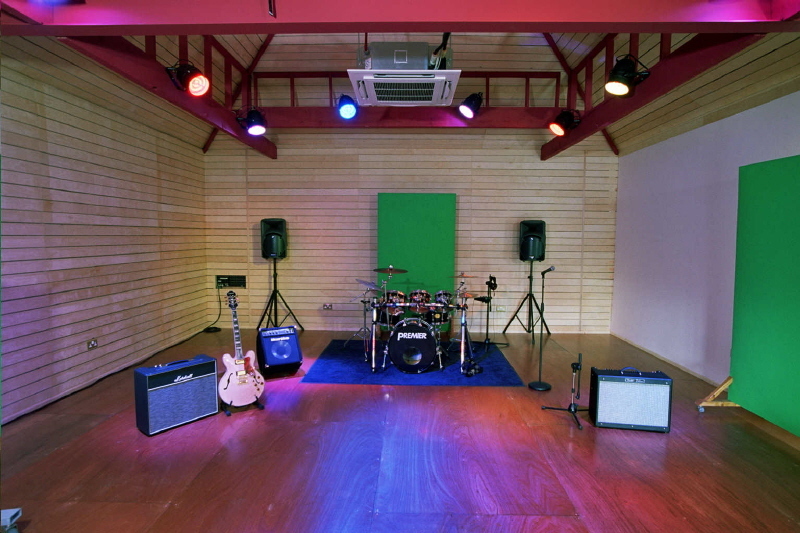 It can be rented as a separate rehearsal room or as an extra recording room to augment a session in the studio. This room has capacity for more than 30 seated musicians or a 50 piece choir. Now an artist, band, orchestra or choir can set up for a live recording of the whole band in The Barn. Temperature controlled, houses all computer equipment and amplifiers.